NIA CHARLESTOWN NEVIS (APRIL 09, 2015) –Federal Minister of Foreign Affairs and Deputy Premier of Nevis Hon. Mark Brantley, is part of a delegation from St. Kitts and Nevis headed by Prime Minister Hon. Dr Timothy Harris attending a summit with Heads of Government of the Caribbean Community (CARICOM) and President of the United States of America Barack Obama in Kingston Jamaica on April 09, 2015. 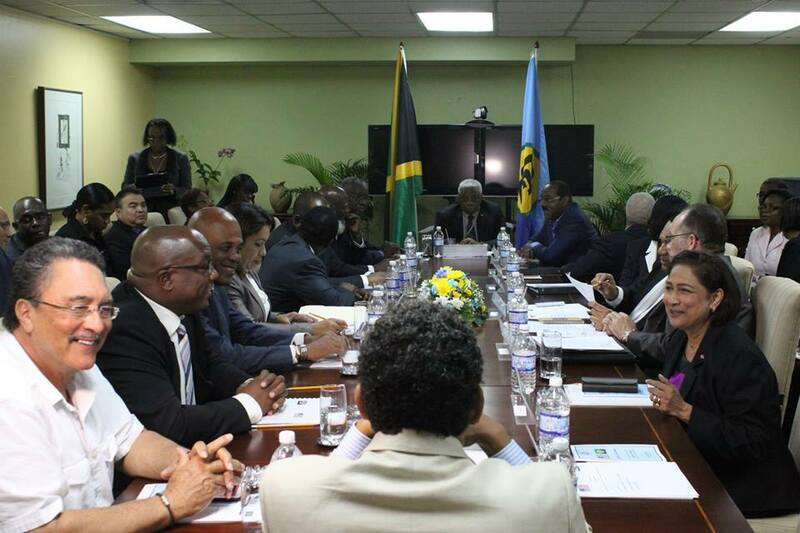 The meeting is the third time that CARICOM leaders have met with President Obama. The themes for the Summit reflect the major concerns of the community as many of the member states seek to emerge from the lingering effects of the global economic and financial crisis. Prime Minister Harris will spend less than 36 hours in Jamaica. He along with President Obama and other CARICOM leaders will leave for Panama to attend the 7th Summit of the Americas in Panama from April 10-11, 2015. 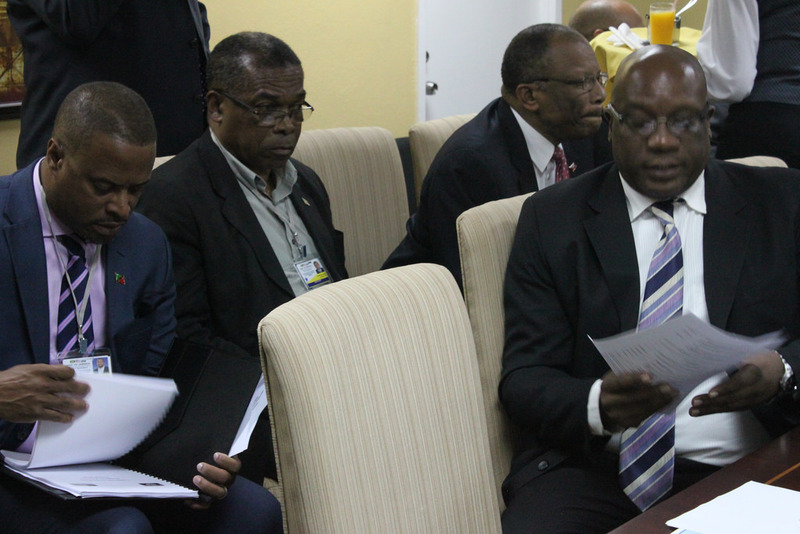 Other members of the delegation at the Jamaica meeting are Minister of Energy Ian “Patches” Liburd, Director of the Ministry of Foreign Affairs Kaye Bass and the High Commissioner to Jamaica Cedric Harper. The delegation will be joined in Panama by Senior Foreign Affairs Officer Justin Kareem Hawley.